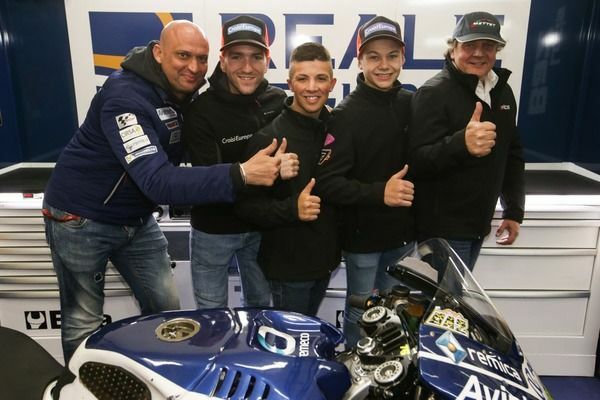 The three 'Zelos' riders at Reale Avintia Racing in 2018! First , I would like to thank Reale Avintia Racing and my management Zelos and Freddy Tacheny, as they have made great efforts and worked hard to bring this project . Conveying a strong team with so much experience in MotoGP ™ gives me confidence to give all the best of myself in Moto3 next year with them . Reale Avintia, KTM and Zelos are a perfect combination and therefore I hope to be able to compete for the top positions in the championship in 2018. "